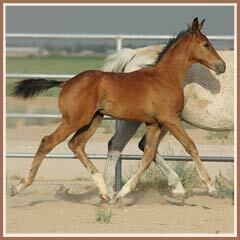 Sedrick is a compact, athletic gelding by the successful German Trakehner stallion Summertime. He is out of Sidney by Schubert and is a maternal sibling to the successful dressage gelding Santiago SF and the recently under saddle mare Solana. Other maternal siblings are Soprano and Scarlet. 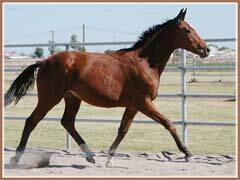 Sedrick will be started under saddle spring 2011 and is currently offered at $12,000.